Your student(s) has brought home class work that is to be completed in the event that we have more days off school due to weather or conditions out of our control. Teachers may have sent home more than one day of work, as there is a possibility of weather conditions tomorrow and next week which could result in there being no school. Please make sure to read any attached notes your child’s teacher may have sent with the work for information about the work and how to contact the teacher should you have any questions. Your child is responsible, if there is a day of no school due to weather, to complete the work for that day. Please read the guidance from the Illinois State Board of Education below on what constitutes a day of attendance for instructional days interrupted due to weather. Signed into law on August 31, 2017, Public Act 100-0465, also known as the Evidence-Based Funding for Student Success Act (the “Act”), made sweeping changes to education funding in Illinois. In making changes to state financial support to schools, the Act also repealed Section 18-8.05 of the School Code, which required an instructional day to be a minimum of five hours. As such, there is no current statutory minimum number of hours or minutes that constitutes an instructional day. Attendance may be counted when the student is participating in learning anywhere and anytime. Students who are engaged in learning for any portion of an instructional day may be counted for purposes of attendance. Students are absent when they have not engaged in learning, as defined by the district, for a given instructional day. A district will not be required to make up instructional days interrupted due to reasons beyond their control (e.g., weather-related issues), provided student learning has occurred. Districts are encouraged to make efforts to maintain the continuity of the learning environment during such interrupted days, where possible, when all students have access. 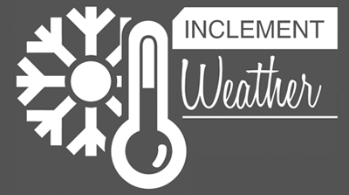 District 276 will attempt to pilot an academic inclement weather day in the near future. Notification will come via the A-Town 276 App, Facebook, and a district all-call.